We came across these incredible stories of Pathros Velliappan and his brothers in March 2013, during our fieldwork in Kangazha. A great grandson of Pathros first told us the tale. In the early nineteenth century, a Nair landlord in Kangazha owned the three brothers Kannan, Palan, and Painkili, and subjected them to all manner of physical and mental torture. After a day of back-breaking work, they were tied to the roots of a huge tree to guard the crops through the night. A bonfire was lit nearby, to ward off wild animals. One night, the brothers began to burn the roots of the tree. After several nights, they set themselves free of the tree, and of the shackles of slavery. The three brothers ran away to the eastern hills of Mundakkayam, where they came under the instruction of the CMS missionary Henry Baker, Jr. From Baker they accepted Christianity as their faith, and all three were renamed: Kannan became Pathros, Palan became Markose, and Painkili became Yohannan. When epidemics plagued Mundakkayam, they left and returned to Kangazha; by this time, slavery had been abolished in Travancore, though the majority of former slaves remained subjugated to land lords under conditions similar to that of slavery. Pathros and others cleared a portion of the wilderness of Kangazha and created farmlands, in the middle of which they erected a church for former slaves. Unsurprisingly, the church became the target of the upper castes’ fury, and was burned down several times. With the patronage and protection of Henry Baker, Pathros and others built a new CMS Anglican Church at Kangazha in 1864. This later became St. Peter’s CSI Church, and is the oldest church in this area today. Pathros’ piety brought him accolades from far and near—his family, as well as the CMS missionaries working in the area, admired him for his religious convictions. When he predicted that his life in this world was nearing an end, Pathros advised his kith and kin not to lament his death, since he believed he was going to meet his savior. Pathros died on May 10, 1897 and was buried, according to his wishes, in front of CMS Anglican Church. Fieldwork among the Salvation Army believers at Kangazha presented us with our second tale of Pathros. The second narrative is anchored in a vision that Pathros had a few days before his death. In Pathros’ vision, which he shared with his only son, Joseph, he saw Joseph moving with a band of preachers in red coats, and speaking amidst them. 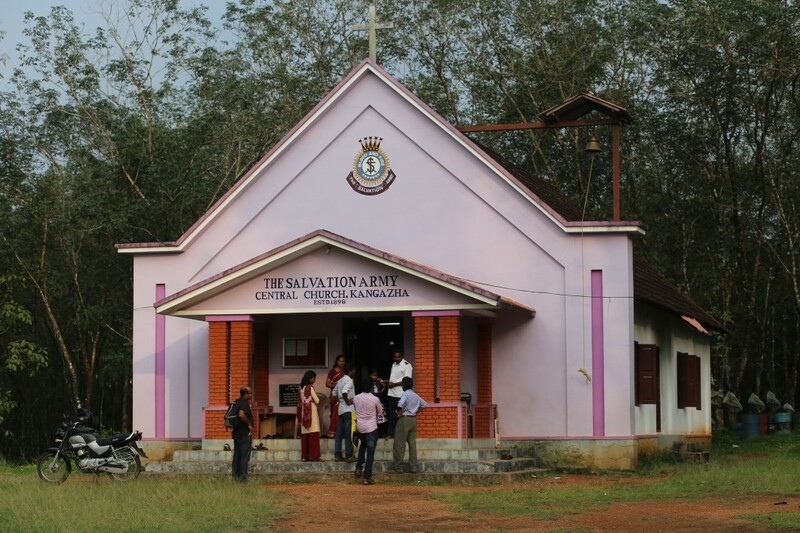 A year after the death of Pathros, Joseph came to know about the red-attired Salvation Army preachers at Mavelikkara, nearly 45 kilometers away in south Travancore. Joseph walked to Mavelikkara with some of his friends and observed the evangelical team and their activities. Certain that his father’s vision was coming to fruition, Joseph and his friends invited the Salvation Army preachers to Kangazha. Subsequently, the Salvation Army began its first church there in 1898, with Joseph as the subedar, or junior commissioned officer. Today, Subedar Joseph of Kangazha is the patron figure of the Salvation Army’s Kangazha division. In our search for contemporary records on Pathros, the archives of the Church Missionary Society offered us a surprise. In October 2013, I had an opportunity to examine an online archive of nineteenth century British periodicals at the University of Pennsylvania. Among other valuable materials, I stumbled upon an article on Pathros in the CMS’s Gleaner, entitled “An Outcaste—A Son of God.” A.F. Painter, a missionary who worked in Travancore in the late nineteenth century and knew Pathros personally, recorded a rare moment of ethnography. 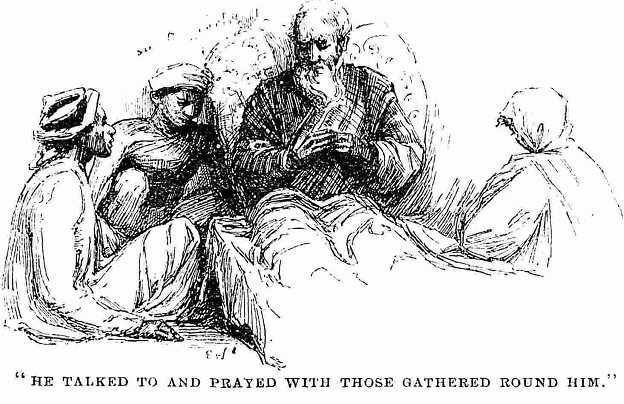 Painter wrote about “a good old man,” Pathros, who had recently “passed away to his death.” According to Painter, the Kangazha congregation had been in a state of disarray, without a missionary to look after them, since the Henry Baker’s death in 1878. When Painter took charge of the district in which Kangazha is located, he visited and found that the property on which the Kangazha church stood was not registered in the name of the CMS; there was, in fact, a legal dispute in progress, in which a Brahmin claimed ownership of the property. The Sessions Court ruled in favor of CMS. Pathros, however, was implicated in another court case around this time: the little shed in which the church and school stood was burned down, and members of the upper castes fabricated evidence against Pathros, framing him for arson. Pathros was acquitted after serving five weeks in prison. These three narratives offer us a partial biography of a pious Dalit Christian of the nineteenth century. The beginnings of his life are ordinary, but when he, and many others, joined Christianity, it became a moment of hope and dignity. In all three tales of Pathros, what was unfailingly dwelt upon on was his unwavering Christian faith. 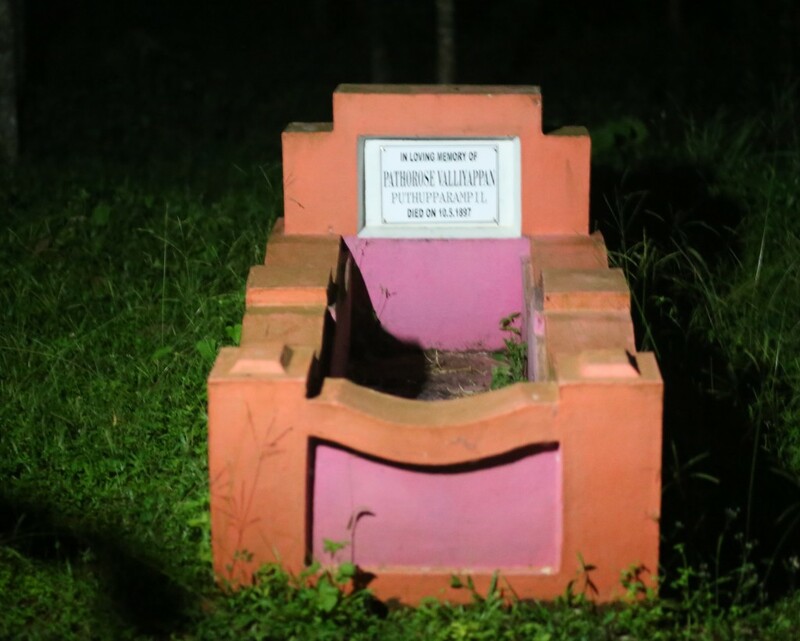 Among Christian believers, whether among the CSI Church (CMS Anglican Church in the colonial period) or the Salvation Army, mention of Pathros Velliappan resonated with piety, love and respect. People recall that, even under adverse conditions, Pathros remained pious, and therefore commanded love and respect among the people. The story of the last hours of Pathros and his prayers are singularly significant, showing his place among others. In an important conceptualization of life stories in South Asia, especially of Dalits and subalterns, it is noted that individual life histories in South Asia are firmly rooted in social experience, and that the life of the individual was always seen in conjunction with the lives of others and the larger society. In this framework, the life history of Pathros may have served as an example to other pious Christian Dalits: his life was an example of a person who would otherwise have been despised, condemned, or chained as a slave becoming respectable, dignified through saintly prayer and piety.